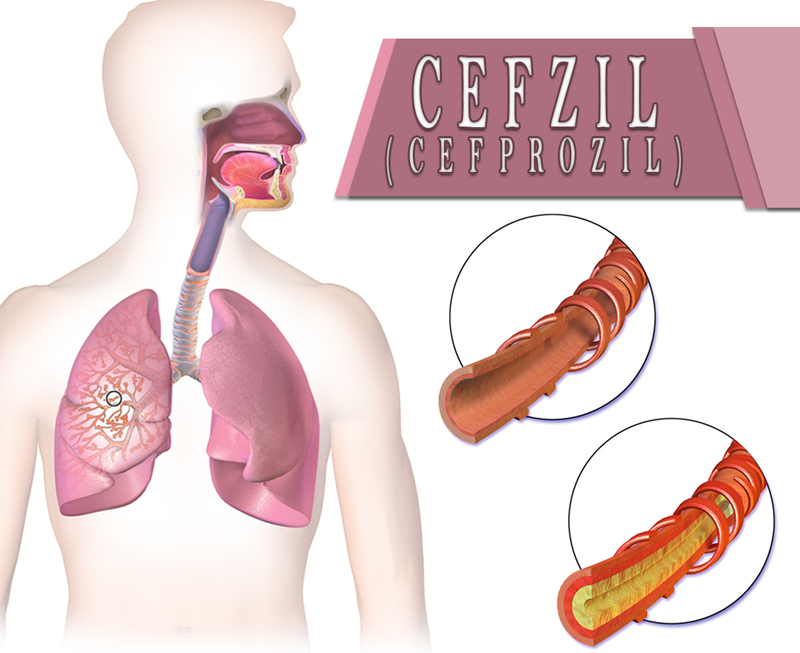 Cefzil (Cefprozil) is used for the treatment of a certain infection caused by bacteria such as bronchitis. It is an infection of the airway tubes leading to the lungs. This may also be used on infections of the skin, throat, ears, sinuses, and tonsils. This medication will not work for flu, colds, or other viral infections. This is specifically used for bacterial infections. How does Cefzil (Cefprozil) work? Cefzil (Cefprozil), like penicillins, is a beta-lactam antibiotic. By binding to specific penicillin-binding proteins (PBPs) to be found inside the bacterial cell wall, it inhibits the third and last stage of bacterial cell wall synthesis. Cell lysis is then mediated by bacterial cell wall autolytic enzymes such as autolysins. It is possible that cefprozil interferes with an autolysin inhibitor. Cefzil (Cefprozil) is a semi-synthetic broad-spectrum cephalosporin antibiotic. This belongs to the group of medication known as cephalosporins. This is intended for oral administration. Each tablet contains 250mg or 500mg of anhydrous cefprozil. The Food and Drug Administration (FDA) has approved this medication. How to use Cefzil (Cefprozil)? The dose is based on your medical condition and response to the treatment. Cefzil (Cefprozil) is usually taken every 12 or 24 hours for 10 days. This is to be taken by mouth with a full glass of water. You may take this with or without food. Take this medication at the same time each day or exactly as directed. Do not stop or change the dose without the prescription of your doctor. What are the side-effects of Cefzil (Cefprozil)? Let your doctor know if you are pregnant, planning to get pregnant, or breastfeeding women before taking this medication. Tell your doctor if you ever had gastrointestinal disease especially colitis or kidney disease. Call your doctor if you are allergic to this medicine or if you have any allergies.